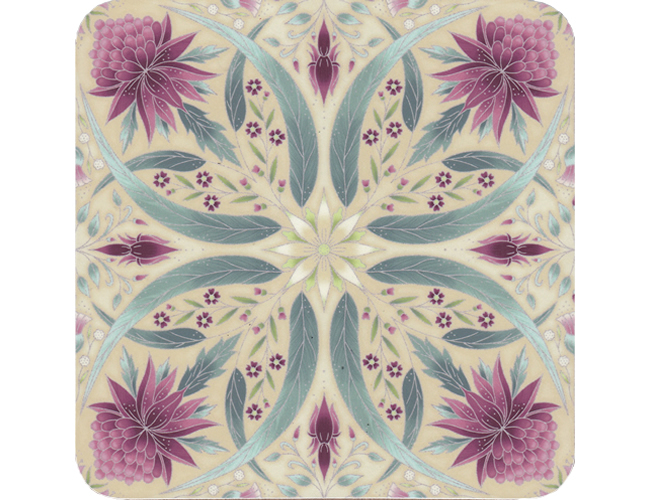 This lovely cork backed trivet features the kaleidoscope design. It will make a super gift for friends and family near and far. It is 6 1/4” (16cm) square. Use for sitting your favourite teapot on, have one featured on each bedside table for glasses and teacups and make a bedrunner to match! My favourite idea is to make some placemats with Melba fabric and have my matching trivets in the table centre for plates of goodies at a Melba Tea Party!